What is marine biology? Marine biologists study the living organisms—plants, animals, and other microscopic life forms—that live in bodies of salt water on the Earth. A deeper look at the field shows that it isn’t always easy to find a simple definition of marine biology, and that the field is a vast and complex one. 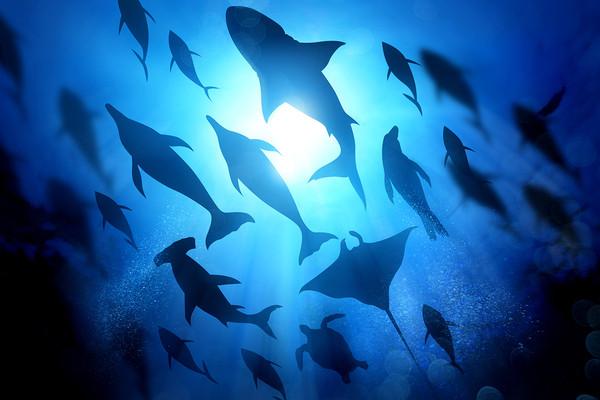 A huge variety of marine life forms live in our oceans. You might expect that marine biology would involve the study of fields like cellular biology, chemistry, and even ecology, but would you expect to study astronomy, economics, or law? Depending on how you decide to focus your marine biology career, you may study subjects you never considered to be part of this field. If you look purely at the main subjects studied, you might confuse oceanography and marine biology , but the difference is clear when you look at the objective of the study. While biographical oceanography looks at the impact of marine life on the oceans, marine biology studies the impact of the oceans on marine life and how that life has adapted to ocean conditions. The study of marine biology often lends itself to the field of conservation—or preserving and protecting ocean habitats to prevent damage to marine organisms or even their extinction. When marine biologists come across animal populations dying off in large numbers or losing their habitats because of ocean conditions that may include chemical pollution, pollution by dumping trash, or warming due to climate change, they often become mobilized to spend their careers trying to combat these adverse conditions and restore more favorable ones. It is this specialty area that may require study of economics and law, in order to help people understand the impact of failing to take care of marine life and their habitats. These marine biologists may also facilitate legislation that can regulate human activity which impacts marine life, particularly at-risk populations whose absence would have a negative effect. Studying marine life never gets boring. Research is a huge part of a marine biology career, and at least some of the research will involve going to ocean or coastal areas to directly observe marine life. Because there are an estimated 700,000 to a million different forms of life in the oceans, and a third of those have not been identified yet, marine biologists will not run out of research to do for many years—if ever. Each new discovery of a different marine life form adds to scientists’ understanding of marine life and how it all fits together to make a marine ecosystem. When scientists can understand marine life better, they can do more to protect it from extinction and can know what steps to take to make everything run more smoothly–and when not to intervene as well. 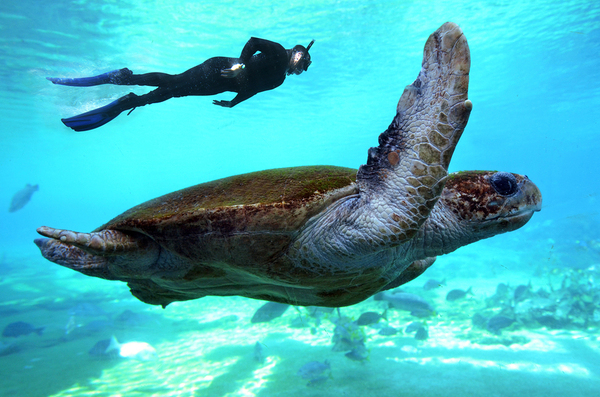 Florida Tech offers a marine biology degree to help students get on track with a career in this vital field. Miles of coastline near the campus offer opportunities to conduct research under the supervision of experienced professors, both in collaboration with them and with fellow students. Learn more about our marine biology degree and the unique opportunities we offer students.